Are you looking for peace and relaxation in the heart of the rugged North Atlantic coast? Then Knockalla is the perfect location whether you are looking to escape for a night or two or if you really want to unwind and destress from the daily grind and stay for longer. 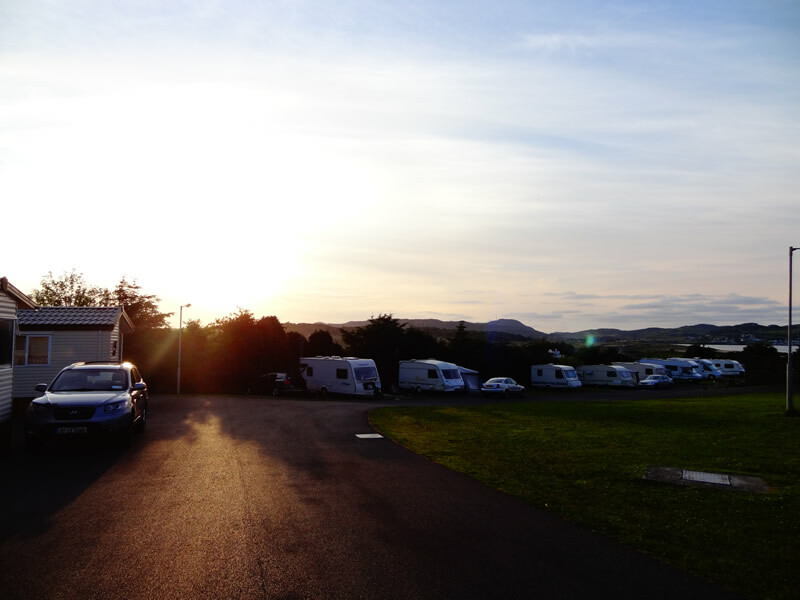 To park your touring caravan or motorhome we have two types of hardstand pitch. Our standard pitches and our super pitches. 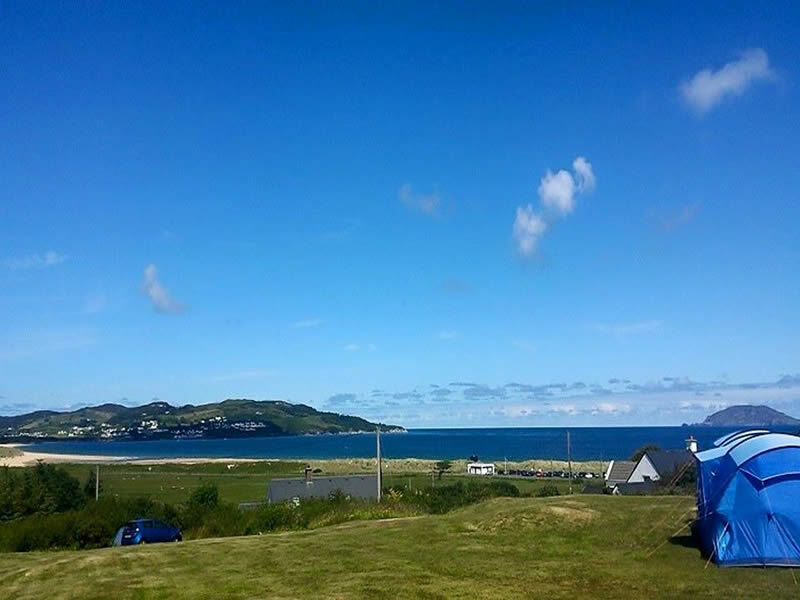 All pitches have spectacular views of Ballymastoker Bay and the Knockalla Mountain. There is no difference in cost for our standard and super pitches and as such they are allocated on a first come first served basis. 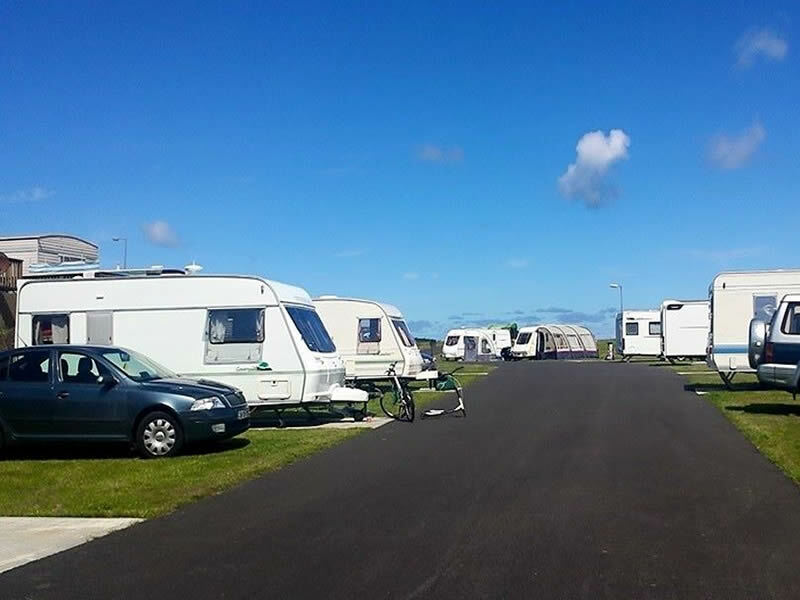 The toilet and shower facilities are centrally located a short walk from all the touring and camping areas. They are a bright modern space which were upgraded in 2014. They include rainfall shower heads, hair dryers and baby changing areas. The facilities are operated by a key system which you will be given on check in. A €10 cash deposit is required for the key and it will be returned to you on your departure. There is also a campers kitchen with sinks for washing your dishes and a seated area if you prefer to eat indoors. 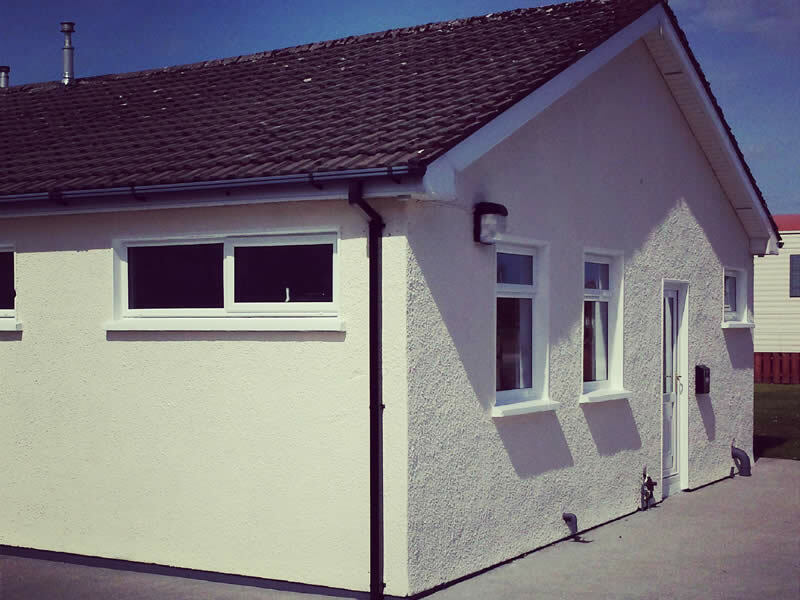 You will find the domestic bins and recycling bins to the rear of the toilet building. We ask you to separate your waste and use the recycling bins provided. We are an outdoor facility and in keeping with that we urge you to dispose of your waste correctly. Recycling is a great way of saving energy and conserving the environment. It is important to the natural environment and us. Please help us to keep the park LITTER FREE.